Vivienne Chambers of Quince Cottage on Main Street has shared the following fascinating photos and account that she received from a gentleman called Tony Lowe. “My father told me that he left the Old Police House in 1920 at the age of 3 years, so his recollections are vague. He was not absolutely certain that the Old Police House was on Main Street. In 1983, he revisited with his elder brother George who had clearer memories. They were visiting a model railway exhibition in the village hall. They spoke with the then owner who told them it was a Grade 2 listed building. My father saw the original brick wall across the road and recalled a flood marker board on the house indicating the height of flood water some time in the past (since 1920). 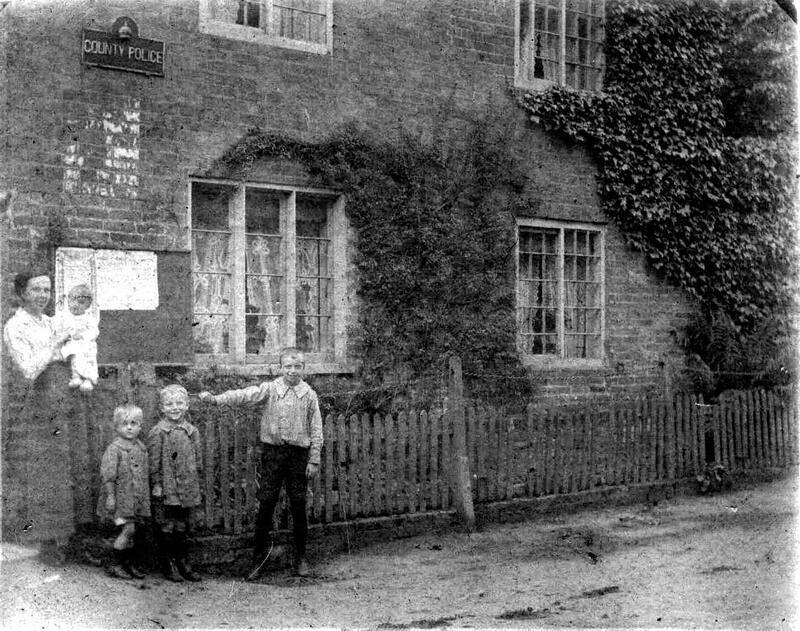 There was a cottage to the rear and in 1920 it was occupied by one Tommy Strutt. There was a well in the garden for domestic water. His father Frank Henry Lowe kept an eye on the water level in the well and regularly pumped off excess. The well was eventually concreted over. However pressure of water lifted this ‘bung’ out, probably at the time of the floods. I offer you a couple of photographs. The first is taken outside the house. This would be about 1919. The second is a postcard sent from Oxton PO at Christmas 1922 to remind our family of Oxton. The houses seem to be a match which would place the County Police house on Main Street. 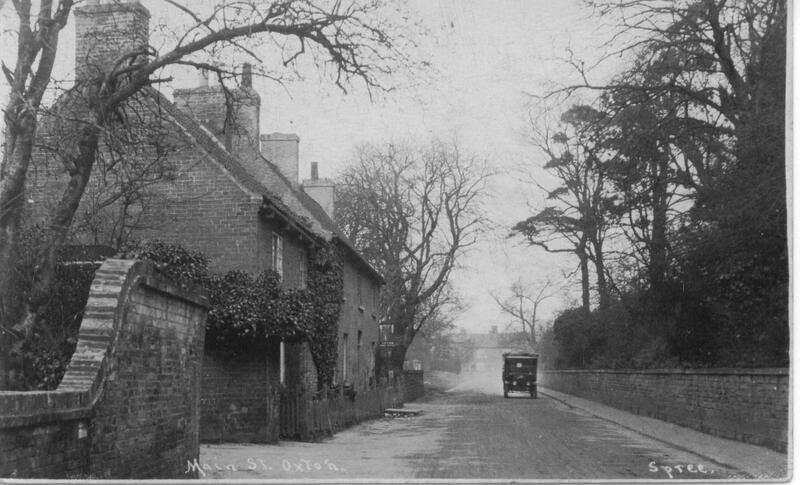 If it’s the church wall opposite it would place it very close to what is now Quince Cottage. As Vivienne tells, the whole Lowe family came to Oxton in 2009 to have their photos taken in front of the cottage with Tony Lowe’s father Herbert, then in his 90s, who was one of the children in the first photo. Having mentioned the existence of the well, they lifted a couple of slabs and there it was! Herbert Lowe sadly died in December 2009, the last survivor of seven children. He was born in the cottage on the 31st January 1917 as were some of his six bothers and sisters, and is the babe in arms in the 1919 photograph. 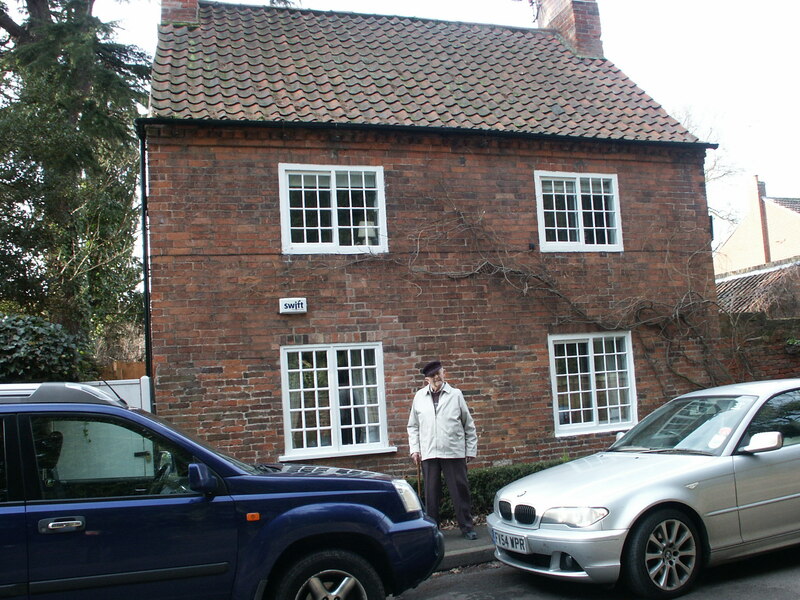 He is pictured below outside the same cottage in which he was born, on his 92nd birthday.